Lemon Balm (Melissa officinalis): growing, planting, caring. A cousin of the mint. 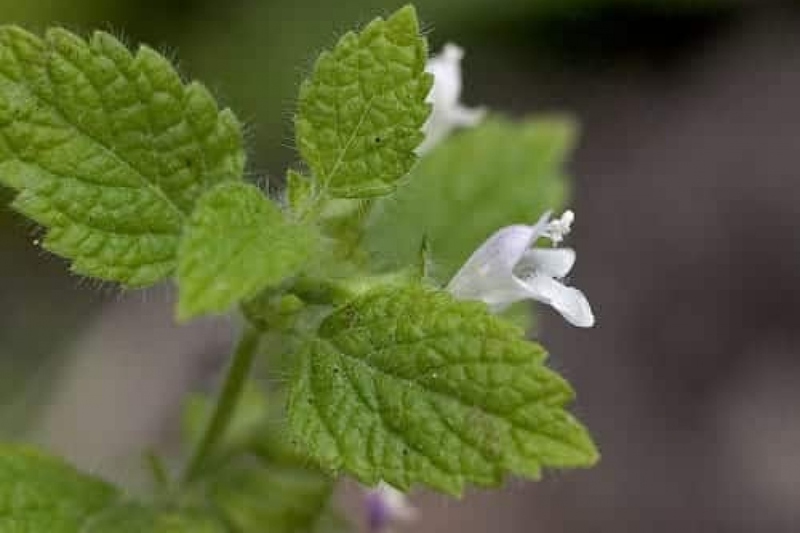 Melissa officinalis- Lemon balm or balm mint -is a perennial herbaceous plant in the mint family Lamiaceae native to south-central Europe but now naturalized in the Americas and elsewhere. It grows to a maximum height of 70–150 cm (28–59 in), with leaves having a mild lemon scent similar to mint. Perennial plant, 30 to 80 cm high, with erect stems having a square section, the lemon balm has small oval leaves that are embossed and serrated, exhaling a sweet and lemony scent when creased. The white flowers have a corolla 12 mm long, with two lips. The chalice is bell-shaped. Possible confusion: the lemon balm looks very much like mint, its leaves have a very similar shape, and they are organized the same. The only way to distinguish without error is by smell, rubbing a leaf. Lemon Balm has a preference for a fresh, fertile, light, clayey, deep soil, but it is able to settle pretty much everywhere, in the sun or in semi shade. Install it in the herb garden, or the vegetable garden. Use it as a ground cover, at the base of an hedge, for example, where it can settle at leisure without disturbing neighboring plants. This plant is so easily cultivated that it accepts well, and for a long time, to be installed in a pot, provided it is divided regularly. Plant it alone, like mint, because it is quite invasive! Its lemony scent removes mosquitoes, plant it in pot, near the place where you take your meals, during beautiful summer evenings! Lemon balm appreciates rather dry soils: water especially just after planting, in case of very hot weather, and of course if you grow it in pots. You can pick lemon balm leaves throughout the spring and summer depending on your needs. Choose preferably the most important leaves by cutting the complete stem to promote the birth of new shoots. It is best to pick in the morning, before the sun comes to alter the aromatic quality of the leaves. Your lemon balm starts to yellow and wither in July? A drastic cut will give it a second youth. Cut cloves with a pruner, to the ground. In a few days, the new stems will appear, all fresh! In March, you can similarly remove the old stems before the new ones are formed. The plant division generally takes place in spring or autumn. Start by digging the roots out, separate the plants gently, and replant each section in a mixture of garden soil and compost, possibly with a little compost. Water copiously for two to three weeks. You can also harvest the seeds from late August to October. Leave a stem or two so ti produces seeds. Harvest at maturity, in dry weather. Let it dry in the shade, then bag it and store in a cool room. You can also spot spontaneous seedlings from spring to fall, as soon as they grow 5-6 leaves! Locate small rosettes of tight, flat-topped leaves, quite thick, very ribbed, embossed. Put them in a bucket immediately. Warning: it is an invasive plant, able to sow itself in strange places! Consider yourself warned. Repot each year the potted plants, adding some compost: the lemon balm does not claim much, but its potted culture would make it anemic without input, and repotting will give it a facelift!